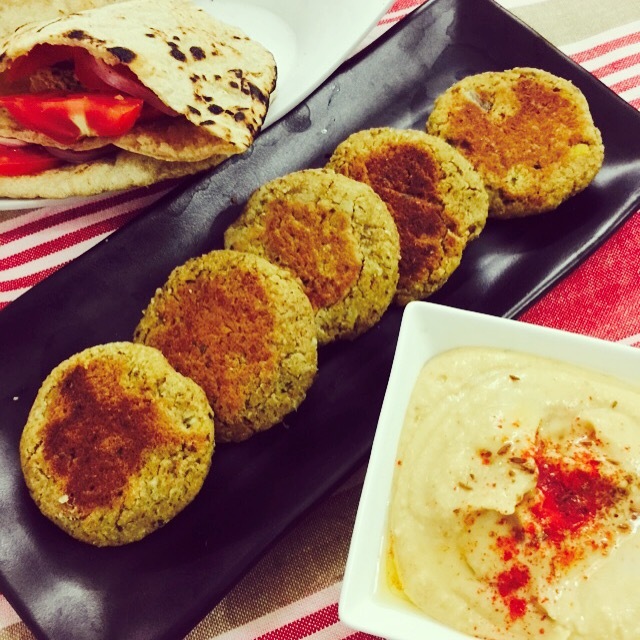 No Fry Falafels with Unleavened instant Pitas aka Chapati Pitas! 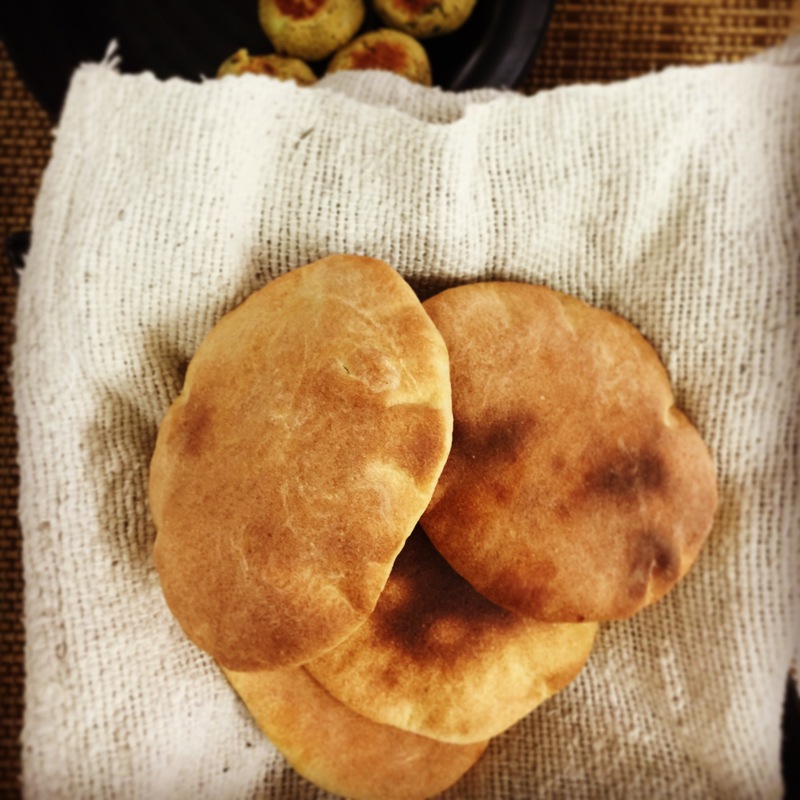 Rolled small and thick and nicely puffed up, chapatis make crisp unleavened Pita pockets. 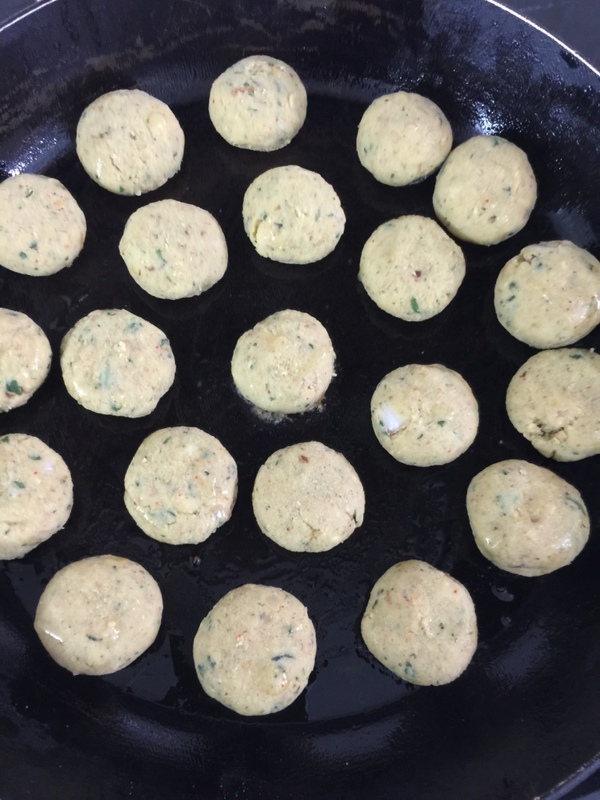 Off late I have started making no fry falafels thanks to my dear friend Sonal Kalra’s wonderful recipe. 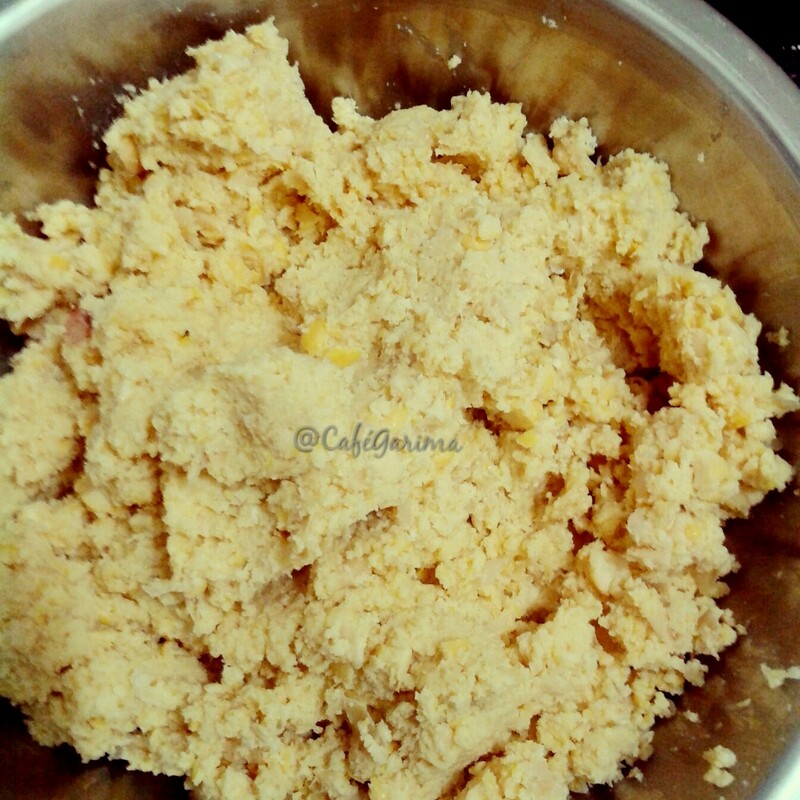 I now cook the chick peas before I grind them rather than grinding them raw. Also, I pan fry them in very little oil rather than deep frying them. 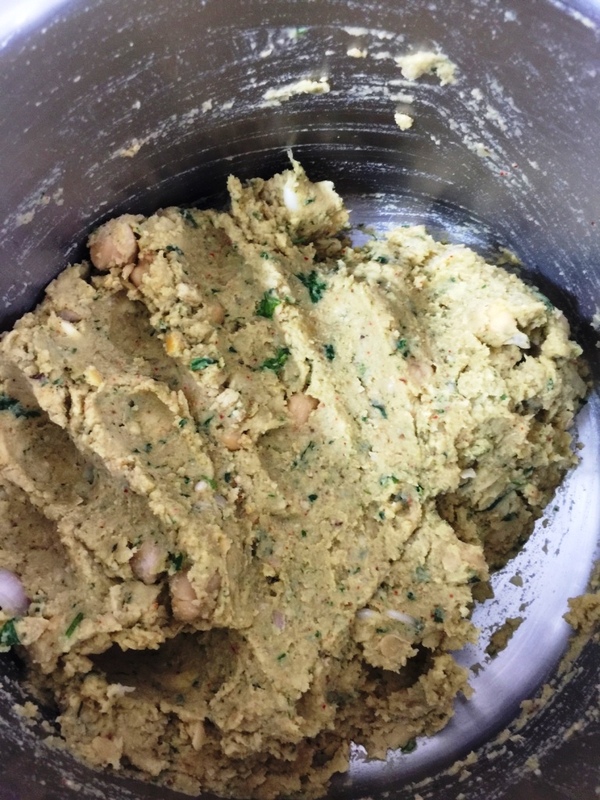 As they get made very often in my kitchen, this healthy variation is a blessing. And honestly, we don’t miss then fried ones. Drain the chickpeas well and grind them coarse. Do NOT add any water. 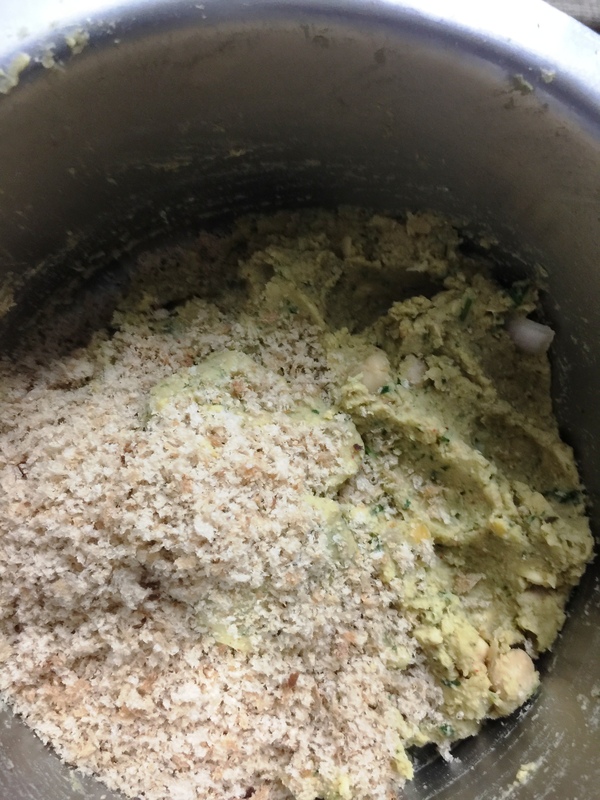 Now slowly add breadcrumbs, a tsp at a time, so that the falafel mixture comes together to form patties. Make all the patties as per desired size. 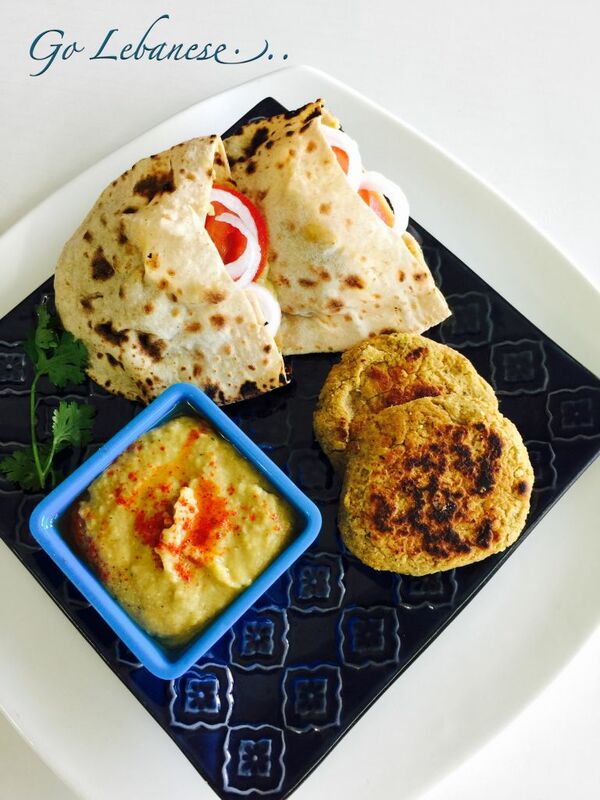 Pan fry the patties on a non stick pan brushing slightly with oil till they are browned on both sides. 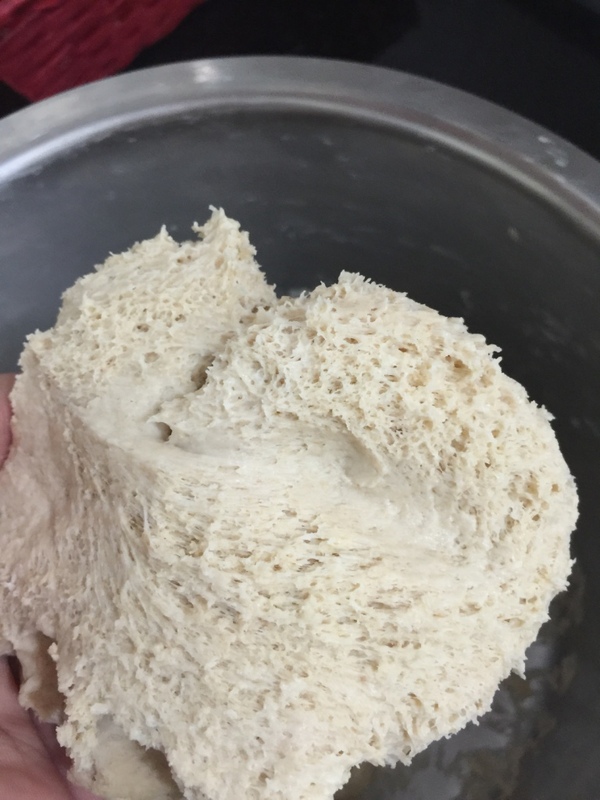 You can always got the traditional way and make the dough with yeast. I have gone completely whole wheat off late. 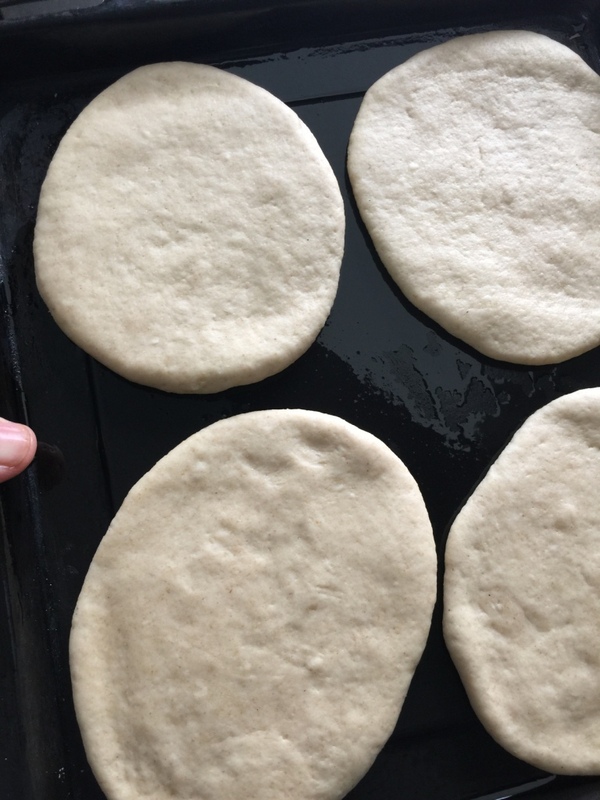 Knead the pita dough with 4 cups of aata/whole wheat flour with a tsp of salt, 1 tsp of instant yeast (bloomed in half a cup of warm water and 1 tsp of sugar) and rest it for a couple of hours. Here it is all doubled up and proved. Bake at full heat in the oven till they puff up and brown. Alternatively make them on the stove top on a heavy griddle. These will be browner than the Maida/All purpose flour pitas, but as good in taste! I fear I am rather predictable!! 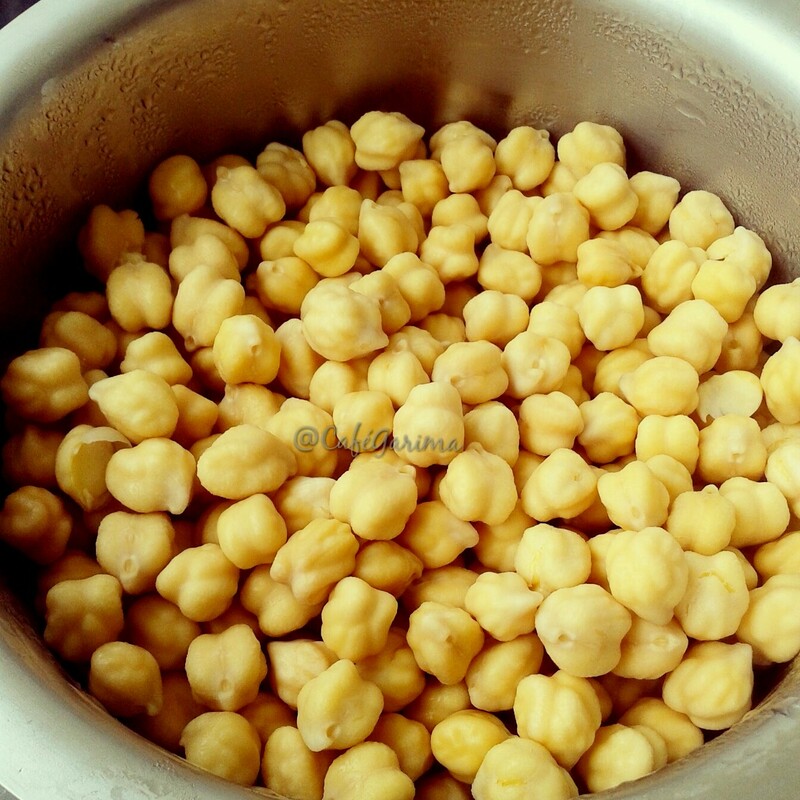 cooked chick peas in d sense “boiled”..!!?? 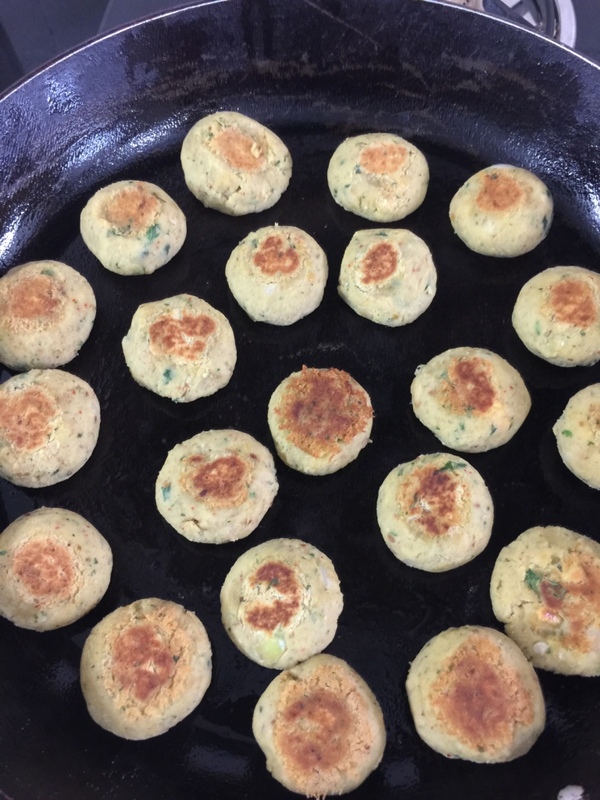 Pingback: No Fry Falafels with Unleavened instant Pitas aka Chapati Pitas!